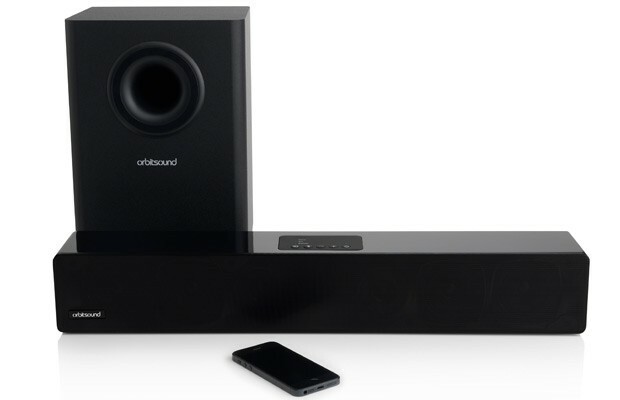 Orbitsound has announced the launch of two new soundbars for your HTDV, the Orbitsound M9 and M12, both devices come with Bluetooth, plus a range of other connections which include optical, AUX, video out, RCA and 3.5mm jack. You will be able to pair your smartphone or tablet via Bluetooth and play your favourites tunes to either device, and it also comes with ‘grab’ feature that will let you play the last media from a paired tablet or smartphone. The M9 is designed for smaller HDTV’s and the M12 is designed for larger ones, the Orbitsound M9 will retail for £299 and the M12 will retail for £399, they will be availabe in the UK shortly from a number of retailers.